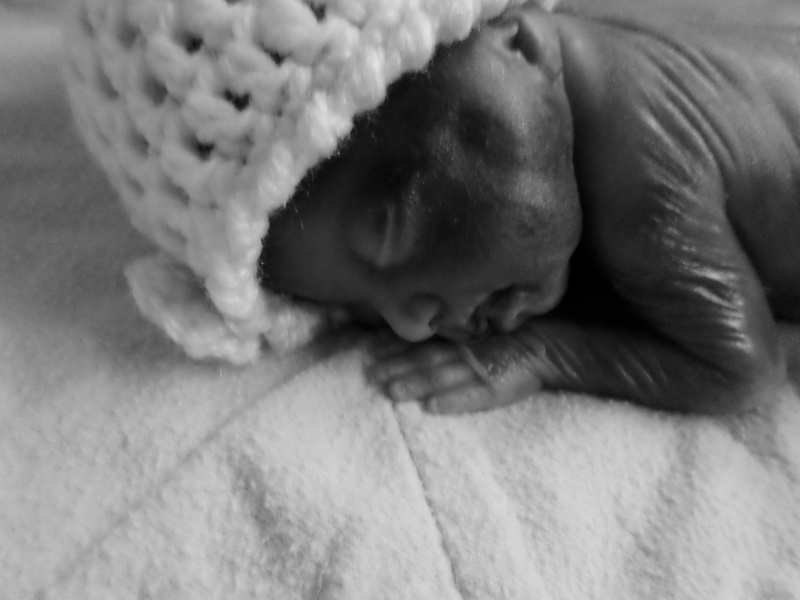 Everleigh Grace Roderick, infant daughter of Mary Alice "Ali" Michelle Johnson-Roderick and Myles Richard Marchegiani, became heaven's angel on February 5, 2019 at the University of Kansas Hospital. She was born there on February 4. Along with her mom and dad, Everleigh's family includes grandparents, Shannon and Daryoush Roudbar, Robert and Frankie McCaine, Jeffrey Johnson and Mischel Allen, Michelle Johnson, Corey and Lynn Marchegiani, and Tricia Peterson; great grandparents, Darrell Roderick, Edie Roderick, Charles McCaine, Anthony Alano, Cynthia Butler, Karen Marchegiani, and Bill and Cindy Sheldon; great-great grandmother, Frances Kohrs; uncles and aunts, William "D.J." Roderick, Jeffrey Roderick, Joseph Johnson, Cody McCaine, Christopher Gurley, Jesse and Alyssa Allen, Josh and Brenda Allen, Caleb Michael Files, Caelyn Files, James Marchegiani and Joseph Marchegiani; as well as cousins and other family members. A celebration for Everleigh will begin at 5:00 pm Monday, February 11, at Liberty Christian Fellowship, 1815 West Liberty Drive, Liberty, MO. A reception at the church for family and friends will follow. Memorials may be given to Shannon Roudbar in order to provide a gift for the Neonatal Intensive Care Unit at the University of Kansas Hospital. A celebration for Everleigh will begin at 5:00 pm Monday, February 11, at Liberty Christian Fellowship, 1815 West Liberty Drive, Liberty, MO. A reception at the church for family and friends will follow. "Surely He had borne our grief and carried our sorrows..." Isaiah 53:4a You are so loved and the Father's heart is comfort poured out for you all. He is with you on the journey of grieving and healing. My heart is with you! You weren’t here on earth long baby girl, but you were loved by so many. My first niece, I wish I could have held you. Watch over your mommy and daddy they miss you lots. You are the angel no one knew we needed. Be at peace sweet one.